Award-winning playwright, magazine columnist (Australian Women’s Weekly), actor, producer, and broadcaster, Gamilaroi/Torres Strait Islander woman Nakkiah Lui is a luminary of the Australian arts and political writing scene. Lui wrote and starred in in the ABC comedy Kiki and Kitty and was also a co-writer and star of Black Comedy. Her podcast with bestie and TV star Miranda Tapsell, Pretty for an Aboriginal, aimed at young women of colour and their allies, “who would rather talk about ambition, success and making it to the top than the issues traditionally linked to their race or gender”, quickly reached the Top 10 on Apple’s iTunes rankings in 2017. Nakkiah’s room is an homage to a kickass feminist and her connection to culture. 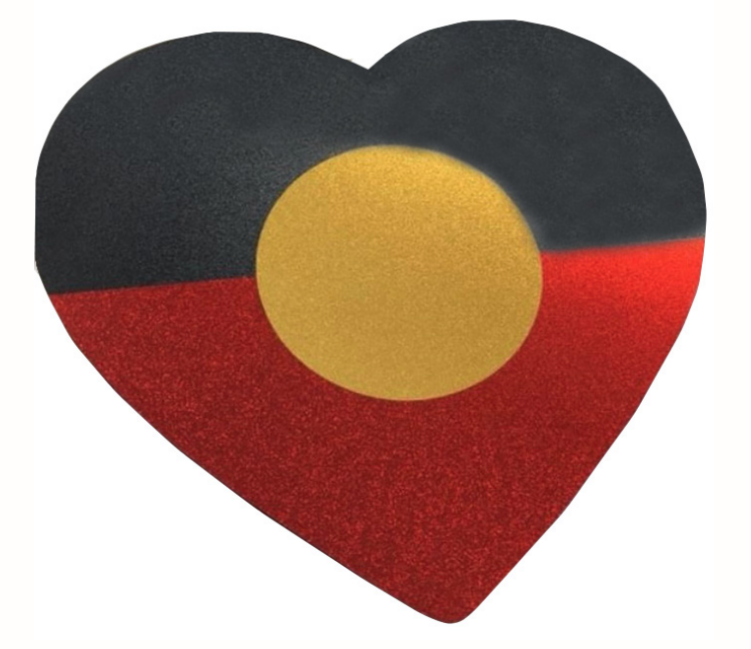 Be sure to check out the glitter Aboriginal heart flag generously donated by young Indigenous jewellery designer Kristy Dickinson from Haus of Dizzy, there is a smaller heart in the lobby but in Nakkiah’s room is where you will find the big love! Ash King is an art school dropout who sings rock & roll and works in a bookshop. She is inspired by the strength and sensuality of the female body and loves working with bold line‚ delicate colour and black and white imagery. Ash loves to bring to life the beauty of women in their most powerful‚ vulnerable states‚ using subjects that excite and inspire. 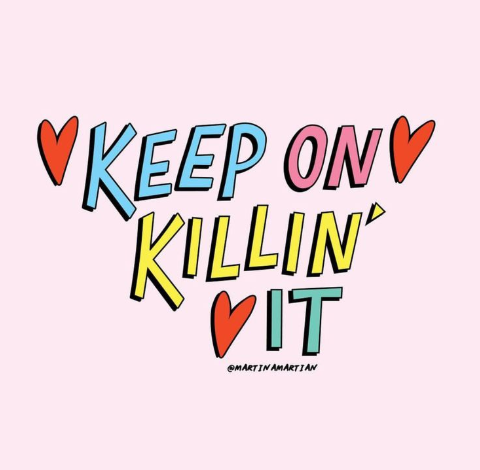 Martina Martian is an Australian designer specialising in graphic design and illustration for web, print, fashion and products. She is sought after for her recognisable use of bright colours and unique 90’s inspired style, which often explores themes of female empowerment and positivity. 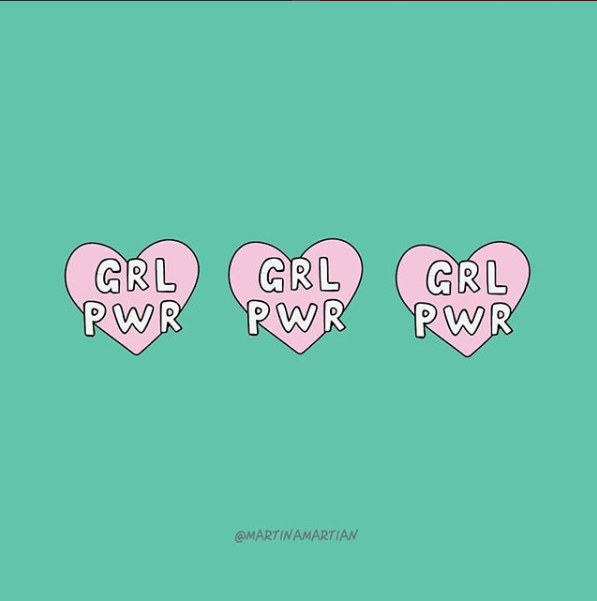 You can also spot a huge Martina Martian graphic installation on our 4th floor lift lobby, if you find it, snap and tag YWCA and Martina!Keep on Killin’ it and GRL PWR prints were nod’s to Lui’s ground-breaking podcast with friend Miranda Tapsell “Pretty for an Aboriginal”. 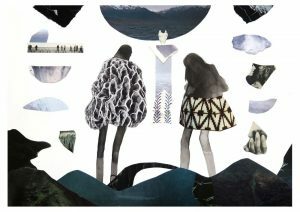 To check out more of Martina’s work visit her online store! Don’t forget to tag #CelebratingWomen #WePavedTheWay #Nakkiahlui #YWCA and #Songhotels if you take any snaps in the room! 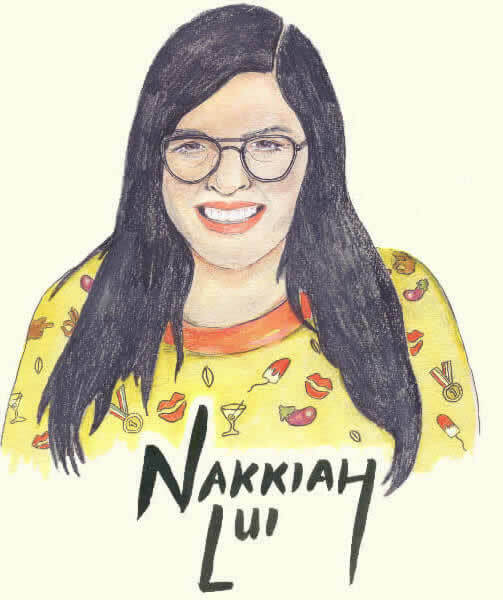 Love the Nakkiah Lui room?